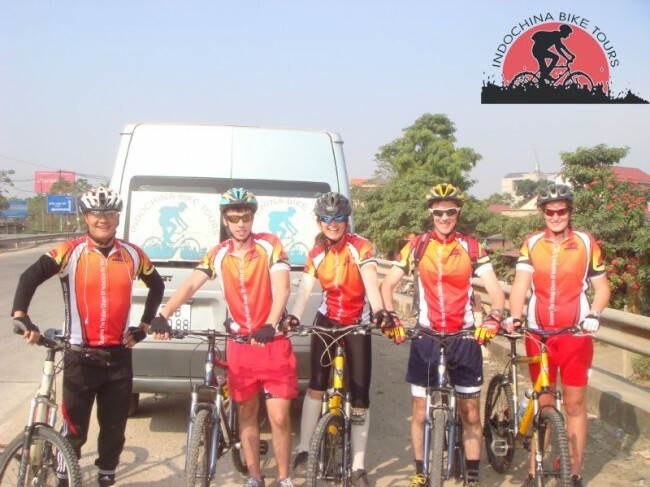 Explore the changing face of Vietnam while cycling from Hanoi to Saigon ,Visit rural villages, working pagodas, rice paddies, local markets, and more ,Vietnam’s rice paddies, jungles, and beaches as our backdrop…. Have breakfast at your hotel, check out and drive to Mai Chau through Hoa Binh province. Cycling to Thong Khe Pass Have lunch on the way then riding on single track through Thai minority villages. Ride past terraced fields and beautiful valleys. Overnight in a stilt-house of Thai-tribe village . O/N in Poom Coong Village . Start cycling from a hotel to Dong Hoi via Phong Nha World Heritage. 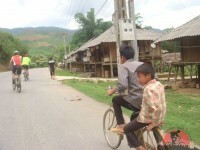 Ride nearly 90 km winding roads up the Truong Son mountain range to Phong Nha. ( if time permitting we will take a boat to visit the cave ) . O/N in Phong Nha hotel. The bike ride of today is easy, the terrain is flat. The distance of biking is 60 km. 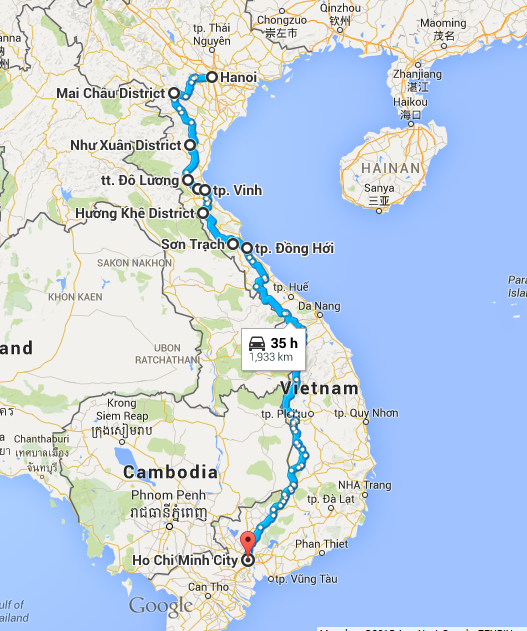 We will have a bus transfer for the last 14 km to the former capital of Vietnam. Overnight in Hue city. Have breakfast and transfer to the outskirts of Hue, Thuan An Dist. Start riding on the coast roads to Phuoc Tuong Pass. Pedal past colorful ancient burial-grounds, rice farming land, and fishing villages. Have lunch in Lang Co beach, after lunch, pedal uphill to the top of Hai Van Pass, then downhill to the Pass of Hai Van. Transfer by van to Hoi An in the late afternoon. Boat trip to the Island for swimming and snorkeling for the whole day.Lunch on boat .Boat back to Nha Trang free for swimming . Free in the evening. ( Sharing boat tour and water sport ,tickets not included ). Enjoy a half-day city tour by bus/van in the morning. Visit Bao Dai palace and the old French railway station. Lunch in town, in the afternoon, ride a 20 km loop on country roads, passing by flower gardens and strawberry plantations. Starting your last day of cycling on asphalt coastal roads from countryside of Phan Thiet city .Lunch on the way before a transfer to Saigon in the late afternoon. Check in hotel . Say goodbye your team . End The Tour . Departure Date : 5th Jan , Feb , April , June , August, Nov .